I’ve always thought Snoop Dogg’s charisma translated well into screen presence, but that he was ultimately hamstrung by having cultivated such an iconic personality that he sticks out on screen like a sore thumb. That’s not stopped him from having cute moments in movies like Starsky & Hutch and Training Day, but the idea of him (successfully) leading a film with any crossover success has never crossed my mind. 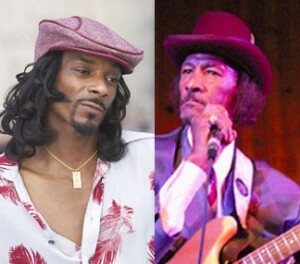 I don’t know if The Legend of Fillmore Slim will be that film exactly, but I do think Snoop has found a role that will allow him to reroute his personality through a character in a more organic, interesting way. I’m not blues expert or enthusiast, but I am aware of Fillmore Slim, the iconic blues guitarist who came from a time of blues music stars actually having a pimping background. In fact, most of Slim’s life was devoted to highly industrious pimping, and the number of women he oversaw during his career is much more impressive (in a sheer relative meaning of the word) than his five (highly regarded) albums. The law caught up with ole Slim eventually, and since then he’s been much more focused on music. He still is, touring at the age of 77. The film is the project of director Hawthorne James, screenwriter/producer Alan Ames and Carole Parker. I presume that director Hawthorne James is the same Hawthorne James that’s appeared in films like Seven and Amistad as an actor. He’ll oversee a story that seems to traverse Slim’s entire life, as he got into music, got into pimping, ditched the former for the latter, spent time in jail, and eventually emerged to make music again. Snoop was apparently asked to take on the role by Slim’s daughter, who is key player in this endeavor. If you take a look at the videos below, I think you’ll agree that Snoop is up to the challenge.